Our last reader sent us a post about Home Equity Loans and whether they were taking the right approach to applying for a Home Equity Loan and if in fact they can be approved for loan. In summary, they both have full time jobs which they have been at for over five years. Combined they make $3500 a month. They claim to have an excellent credit rating, zero balance on their credit cards. They also have a small car loan which they make monthly payments on. This auto loan has less than two years to run before the car is fully paid for. They also have $20,000 to put towards a down payment on the home they wish to purchase. Which is a good number depending on the value of the home they wish to purchase. The best part of their strategy in terms of purchasing a home is that they do not want to overextend themselves. They lived through the economic downturn in 2008 and spent 6 months on layoff from their jobs as the economy and the auto industry went downhill. They really want to place themselves in a situation were they will not lose their home under any circumstances. The other key fact is that they recognize that homes in almost every state are at or near the bottom of their value and this is probably one of the best times to make a purchase. They have positioned themselves to take advantage of the current market and are ready to make a purchase. This couple appear to have their act together. They have an excellent credit rating, they have little debt and they have a solid down payment provided that they do not go higher than the stated value of home they intend to purchase. Most lenders are looking for at least a 10% down payment. This would mean at least $15,000 on a home valued at $150,000. They have a down payment of $20,000 and if they are successful in negotiating a lower price on the home they intend to purchase, their down payment ratio will improve further. This is a good position to be in when applying for a Home Equity Loan. Larger homes that are worth considerably more will require a larger down payment. Some lenders may require as much as 25% for large homes worth more than half a million. Based on purchasing a home valued at $150,000 with a down payment of $20,000, and current interest rates their monthly payments will be in the range of $700 a month assuming a 5% interest rate and a 25 year amortization. Of course this amount could change if any of the variables change, but it provides a good range to work with until they make a solid offer on a home. This client makes $3500 / month combined income which is only 20% of their income. Once you add taxes, they are still under 30% which puts them in an excellent situation to handle any financial shocks that might materialize in the future. In fact they are also in a position to make additional payments to their regular monthly payments which will result in paying off the mortgage more quickly and saving them a lot of interest. This couple is positioned really well to not only be approved for a mortgage, but also the long term as well in terms of their financial well being. We anticipate that this particular client will have no problems being approved for the home equity loan they are seeking. 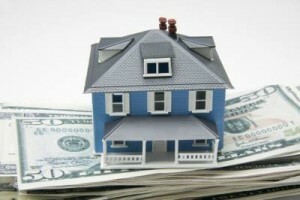 Once they find a home that meets their criteria they should definitely apply for a home equity loan. For more home equity loan details, click here.